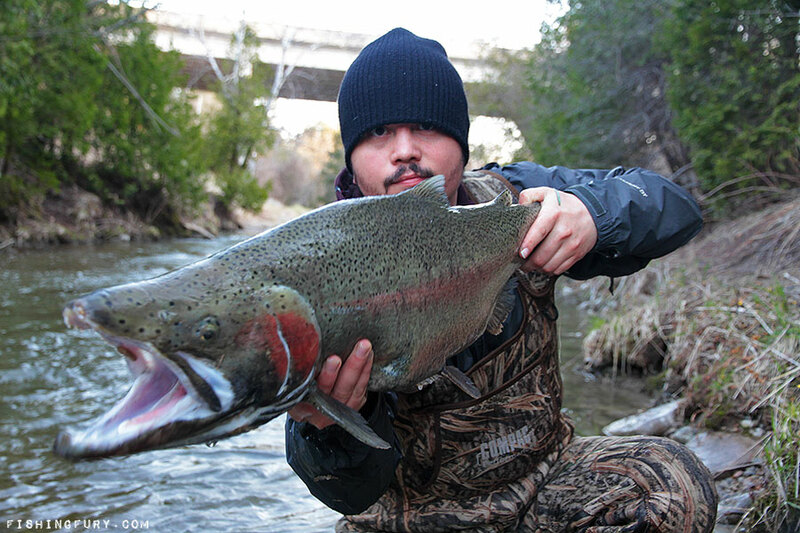 New Trout Fishing Photo Gallery! | FISHING FURY - A Fishing Blog with Attitude! New Trout Fishing Photo Gallery! The fishing season is off to a fantastic start this year! Last weekend marked the opening of trout season here in Ontario and though I was only able to get out yesterday, my friends and I still managed to have a fantastic day on the river. We woke up early and took a short drive out to Oshawa where we would explore the upper parts of the river. Tiny beads and stoneflies were the most effective lures in the gin clear water.